Join the community of active Christ-followers who congregate around the Called2Action radio show, website, and social media pages. Let’s advance Truth, Grace, and the Gospel in America as Sacred Cow Killers! When necessary, we will publicly question the validity of every assertion and truth claim, including our own. We will share the Gospel of Christ when God opens that door. Jesus clearly called us to a public faith…but not to an obnoxious one, and therein lies the rub. Truth is hard to hear. 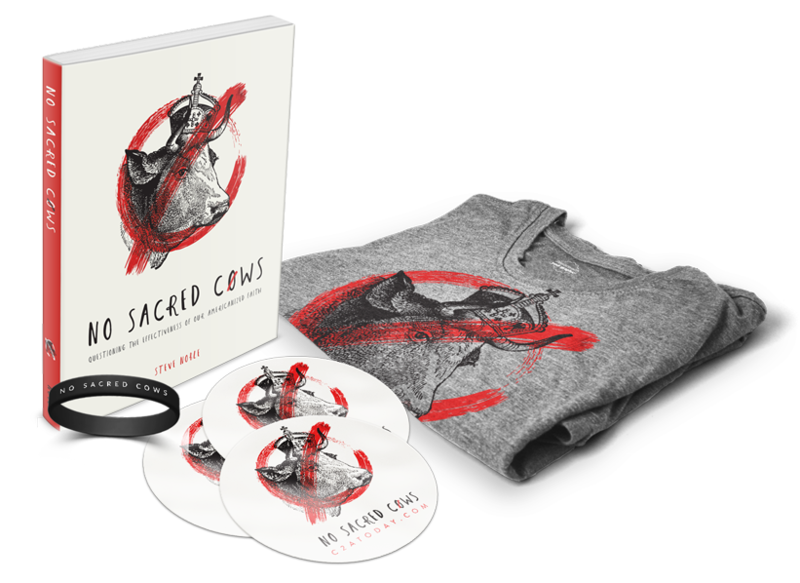 All Sacred Cow Killers (monthly supporters) receive the Sacred Cow Killer Field Kit. This includes No Sacred Cows T-Shirt, Car Decal, and Wristband; A copy of my book, No Sacred Cows: Questioning the Effectiveness of our Americanized Faith. A weekly Facebook LIVE visit with me and other Sacred Cow Killers via our members only Facebook page! 50% discount on my 18-part video series, Foundations of Freedom – the Constitution and Civics course that I have been teaching for years. EXCLUSIVE access to the entire Daily Dose devotional library. A weekly video message to challenge and encourage you. My Daily Dose devotional via email. 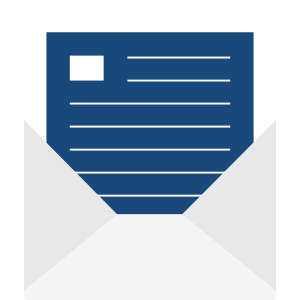 Support C2A with a monthly, tax-deductible donation of $9 or more. 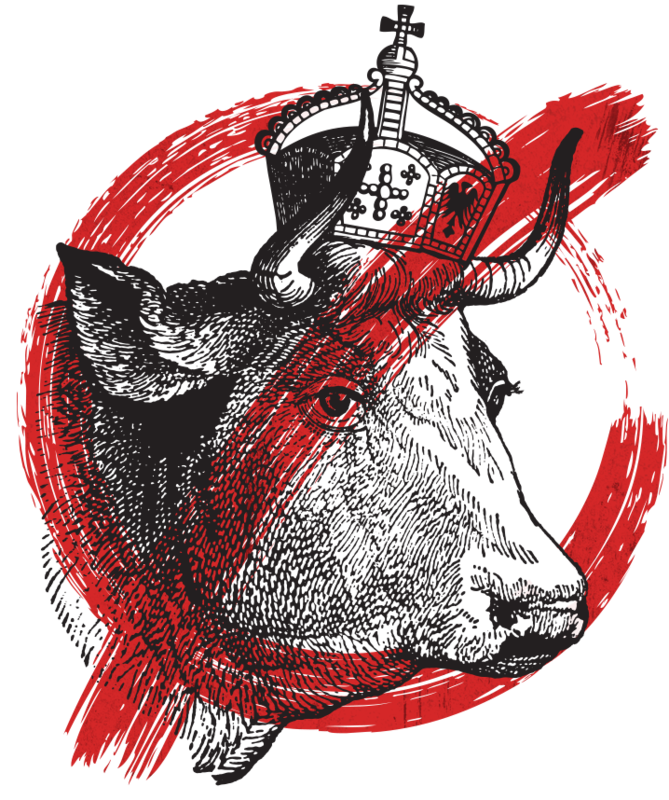 Proudly wear your No Sacred Cows t-shirt. Pray for Called2Action and your fellow Sacred Cow Killers. Recruit other Believers to join our movement. Bear fruit for the Kingdom of God! AS OUR TRIBE GROWS, SO WILL CALLED2ACTION. Our radio presence as well as our digital presence. From the daily radio show to the Facebook LIVE broadcasts. From our new website to podcasting, blogging, and video content. Together, we can do our part to continue the movement that Jesus started over 2,000 years ago. Please join me because you are Called2Action!